We did a little driving around this afternoon and aside from the puddles everywhere there are some new signs of spring. 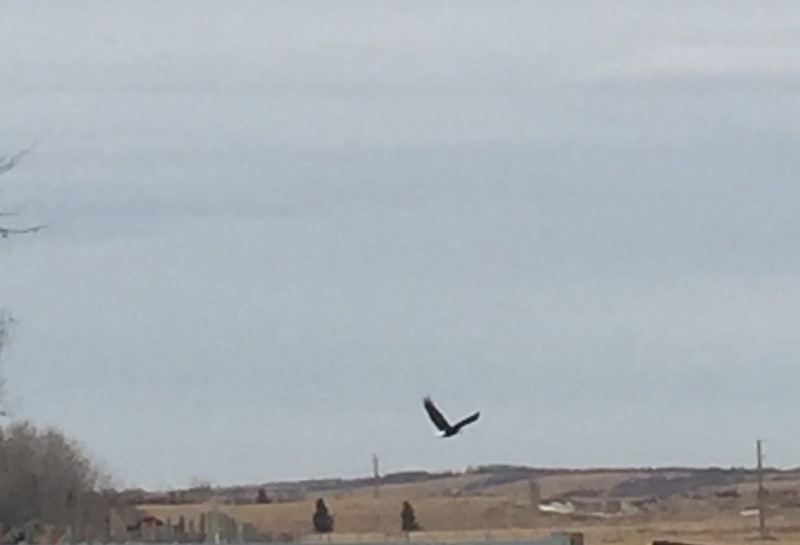 I passed a gopher running along the road and we saw three bald eagles. We do have a few eagles that stay year round but I think these were new ones. I am ready to say goodbye to the cold, dark times of winter and jump into spring. It is happiness. Taken with my iPhone. He was huge!